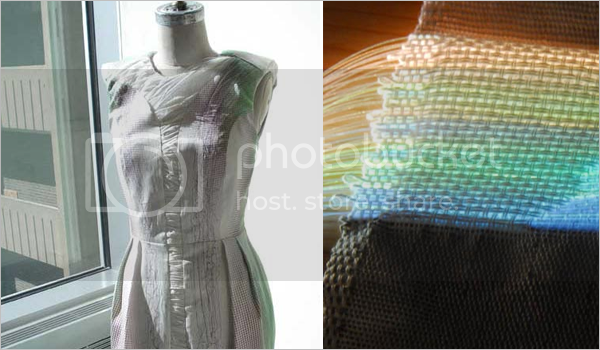 A group of researchers in Montreal, Canada have developed interactive electronic fabrics that harness power directly from your body, will store that energy, and use it to change the visual properties of the clothing. Interest in wearable computing and electronic textiles has grown substantially in recent years. The technology could lead to many future applications which range from military to fashion. Other applications like the ability to charge devices, to medical applications are all possibilities. 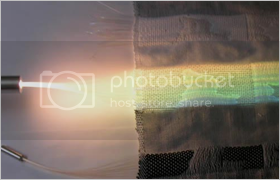 Rather than attaching the electronic components to the textile, they are woven right into the fabric itself. Joanna Berzowska, the researcher behind the designs, admits it will still be years from these prototypes reaching retail stores. Prototyes have been created and were part of the Smart Fabrics conference that just took place recently in San Francisco. You can read more about the Karma Chameleon Project on their site.